The Garden Route of South Africa is one of the iconic "road trips", taking in some spectacular coast-line. Thanks to Madelene for providing a lovely review from a visit along the famed drive. The Garden Route has according to the Guinness Book of records the mildest climate in the world after Hawaii. With long stretches of beautiful blue flag beaches it is a well recommend getaway. As Capetonian this is a loved holiday destination. The stretch of coast which exstend from Mossel Bay in the Western Cape to the Storms River in the Eastern Cape is spectacular. Six hours traveling time from Cape Town per car/bus. Daily flights from Cape Town International airport to George or Plettenberg bay. Accommodation for holiday makers is plentiful. There are many B&B's to choose from, from Central Beach to Sanctuary Beach. The Beacon Island Hotel in the center of Plettenberg bay is a well known family friendly hotel that also offers time share. Plettenberg Bay offers long days of sunshine and multiple Watersport activities , surfing, suping, canoeing ...... The bay is a display of dolphin activity and for scuba divers a underwater kingdom. 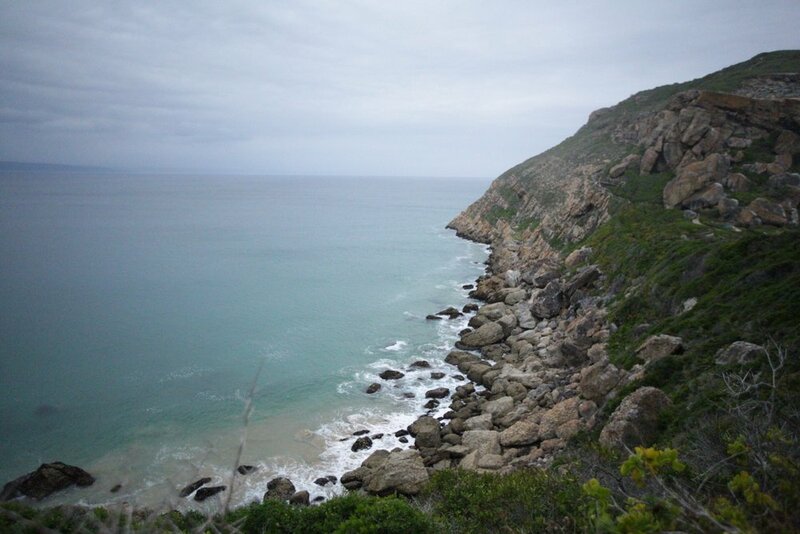 Robberg Nature Reserve offers hiking trails for young and old, with the Stone Age Nelson Bay Caves a definite must for the hiking enthusiast. If you are a keen Mountain Biker like me there is more than enough biking trails to choose from, from intermediate to advance and with every uphill the effort offers a big reward - the views are spectacular! Popular Harkeville Forest is a must. If you like lazy lunches there are a few wine farm to choose from witch is less than 20min drive from Plettenberg bay. A must is Bramon and Newstead wines that offers delicious tapas menus. Fish lovers will enjoy The Fat fish and Lookout and the popular Tables restaurant offers the best pizza's in town. Destination : September 2017, 3 nights. We travel to South Africa each year to visit my wife's family. Previously my son had not been on safari before, but is obsessed with animals and wildlife. Having turned 7 years old, we decided he was old enough to join the experience. Phinda Mountain Lodge is close enough to Durban to drive, so we booked here for myself, my son and my father-in-law. 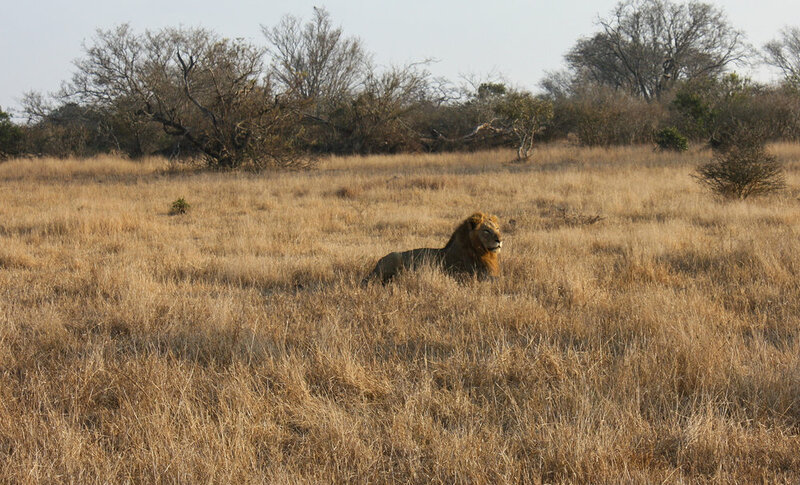 Located within Phinda Private Game Reserve, it provides some of the best game viewing in South Africa. The Lodge is part of the highly rated &Beyond group, which has a number of properties throughout Africa and Asia that provide unique safari and adventure experiences. We flew directly into Durban from Dubai on Emirates airlines. You can also fly via Johannesburg with internal connecting flights. Phinda Mountain Lodge is just over 4 hours drive North of Durban, passed Jefferies Bay. It is a relatively easy drive and the lodge sends straight-forward directions. Close to the property it does change to unsealed roads, but they are not difficult to navigate. You can also drive from Johannesburg, which is roughly 6 hours. On the drive in, you will start to see many species of wildlife, so have the camera handy and not packed away in the trunk of the car! Some guests, especially those short on time, can arrange for small domestic chartered flights directly into the airstrip at the reserve. I spoke to one couple who were visiting several game parks in a short period of time and they suggested the time saved made up for the costs involved. This may be worth looking into if you are tight on time. Different game reserves throughout Africa vary in terms of the services they offer, the accomodation options and the variety of wildlife. Many visitors are desperate to see either a) a certain species of animal or b) the largest variety possible. Phinda is renowned for a great variety, with all of the Big 5 in the reserve. Of particular interest, Phinda has significant populations of White and Black Rhinoceros and cheetah. It is worth asking around and getting advice on the likelihood of sighting particular species at various reserves if you have a special request. If you are looking for a great variety, somewhere like Phinda is an excellent choice! The cheetah populations in Phinda Private Game Reserve are a highlight. Phinda Private Game Reserve is a massive reserve of 170sq km and has 6 separate lodges, providing a variety of accomodation options. 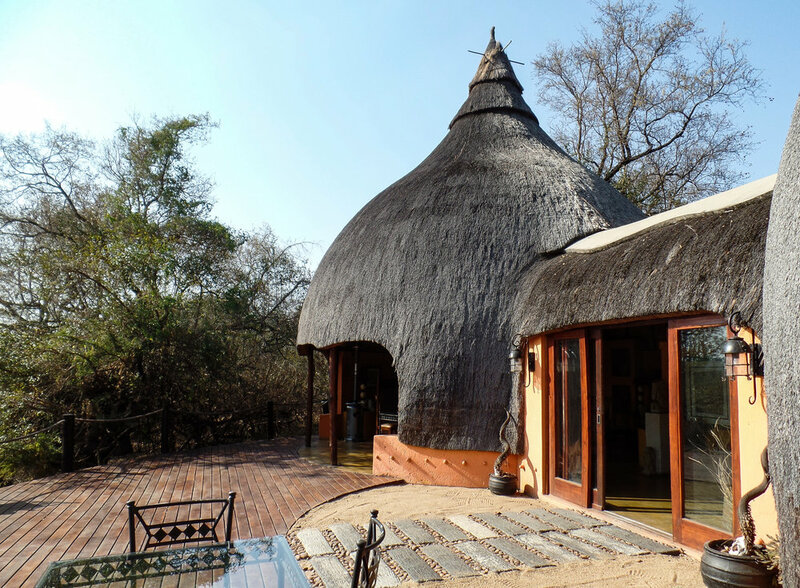 We chose the Mountain Lodge as it is a family friendly lodge, with great accomodation and access to excellent game viewing. 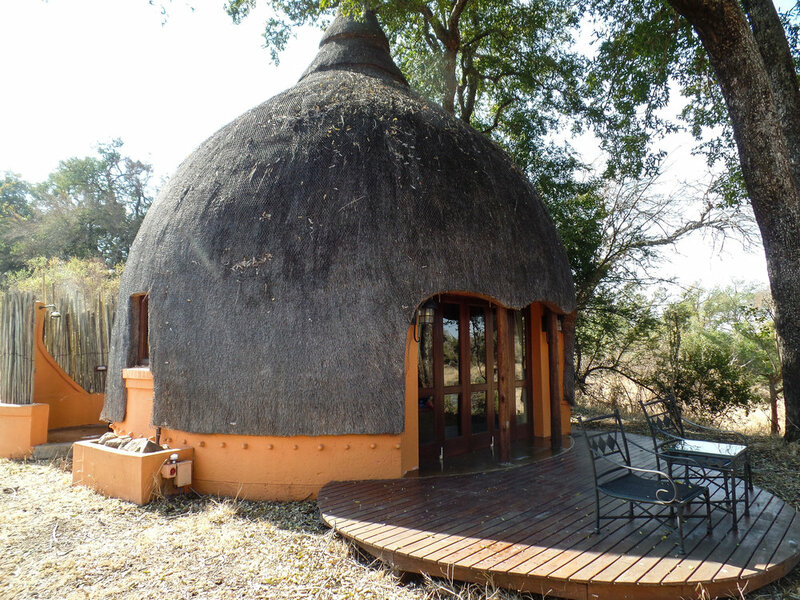 The private huts are extremely comfortable - essentially 5-star accomodation in the bush. The interiors are beautifully fitted out and full amenities are provided. We had a private plunge pool which was great for cooling off during the day. The lodge has large common areas that are great for socialising with other guests and chatting with the guides. 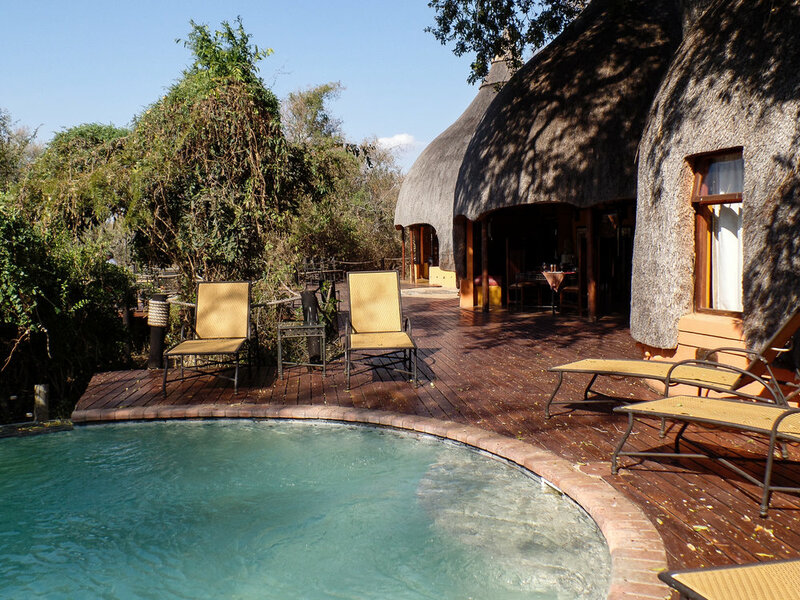 There is an swimming pool and a spectacular view out over the bush. Mountain Lodge has a "kids room" and structured activities for children. 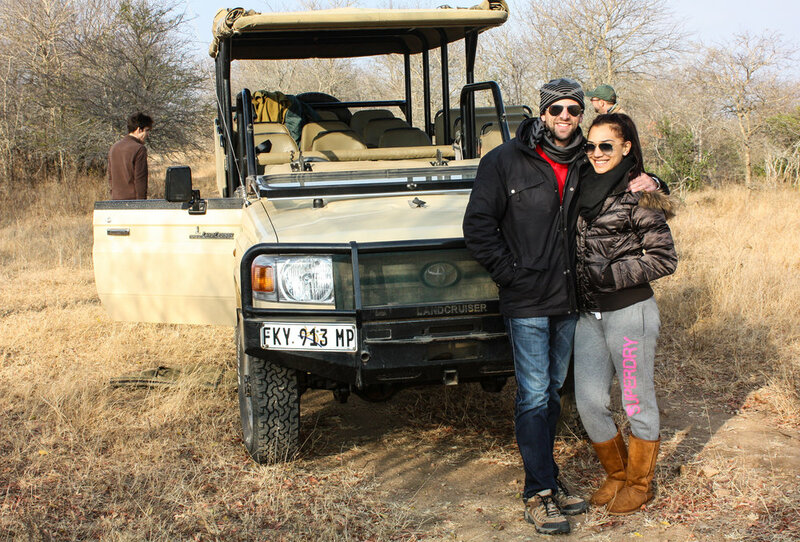 Children over 6 years are allowed to go on game drives, which our son loved. In between time, he also went out making plaster casts of animal footprints and made traditional african crafts. You are personally welcomed on arrival by extremely friendly staff and this carries through to the time they say goodbye. The atmosphere they have created at Mountain Lodge is honestly something that will leave a lasting impression - truly genuine hospitality. Travel to South Africa, with the current conversion to the Rand, is relatively affordable for the most part. The luxury game reserve safaris however are one thing that is quite expensive. That said, if you are travelling to Africa, doing a safari should be really high on your list and spending a little extra to stay somewhere as nice as Phinda could certainly be seen as money well spent. For me, there are few things that compare to the magic of African safaris. Each drive has the excitement of what you might see and each interaction is completely different to those before. It was particularly special to share this experience with my son and father-in-law. I have been on drives at many game reserves in South Africa and would have to say the variety at Phinda was probably the best I had encountered. Whilst we didn't spot any leopard (the only member of the big 5 that continues to elude me), the range and quality of other species was out-standing. The complete list of species we saw across the 4 days would be too long to list and the photographs in the gallery barely do justice. Personally the highlight of my experience would probably have been the amount of time we were able to sit and watch a family of cheetah. Or maybe it was the lion cubs? Or the enormous bull elephant? Its really impossible to choose. For those who haven't been on safari before, most lodges operate in a very similar way. You start each day with a morning drive around sunrise, there is always tea/coffee and some cakes at the meeting point so you don't leave hungry. At Phinda Mountain Lodge, you will also stop for a morning tea break, with snacks and drinks all provided. The vehicles are comfortable and provide great viewing. We had a tracker, Cebu, whose knowledge of the bush was incredible and had an innate ability to spot even the most camouflaged animal. Our guide, Andy, was fantastic in explaining all that we needed to know about the lodge, the animals and the conservation work undertaken by &Beyond across its many properties across Africa. You will return to the lodge for a well earned breakfast that the chef prepares - the meals are served in a common dining room which is a great opportunity to share stories with guests from other vehicles. I really enjoyed the social atmosphere at Mountain Lodge and the guides also made an effort to get around and talk to everyone. There is some down-time to have a dip in the pool, catch up on emails/photo editing or have a nap. There is also an option on one of the days, to go for a walk through the bush, which can put a completely different perspective on watching the animals - actually standing next to a lake with hippos or walking through grassland only 50 meters from grazing giraffe. The chef prepares a gourmet lunch back in the dining area, then, its back in the vehicles for an afternoon safari drive, with a quick stop for afternoon tea and sundowners. If you enjoy nature, wildlife or animals, you will absolutely love safaris in South Africa. It is truly the best way to see these animals. There are no guarantees regarding which animals you will see or what they will be doing - but for me, that is probably the greatest part. You will see the animals in their natural state - sleeping, playing, hunting. Some will be so close you are convinced they have no fear of humans, others will be almost impossible to see, they are so timid. When you go on drives in reserves like Phinda, you do get an incredible opportunity to sit for extended periods of time and watch some of thee animals just go about their daily lives. The lodge does offer a number of other activities that you can look into doing. These include; rhino tracking on foot, scuba diving at nearby Sodwana Bay, leatherback sea turtle nesting, photographic safaris and spending a night out under the stars in the bush. 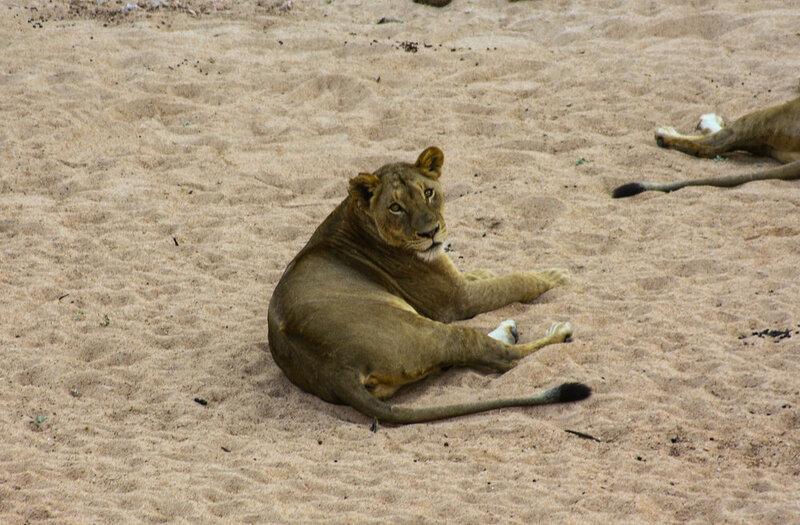 Essentially they are capable of tailoring a safari experience to suit your needs. All meals at Phinda Private Game Reserve are provided, including breakfast, morning/afternoon teas, lunch and dinner, with consideration to any dietary requirements. The chef prepares wonderful dishes, using a lot of local ingredients and recipes. On one of the evenings we had dinner by candlelight at a bush camp, which was a memorable experience. If you like to have some of your own snacks, you can bring them also, but generally speaking there is plenty and even during the day the common areas have something to snack on. It goes without saying that going on safari drives is the "must do", however there are some huge advantages of going on drives in places like Mountain Lodge. The guides at reserves like Phinda are experienced to know where the animals are likely to be and have an incredible eye to be able to spot them from a distance. Many people opt to go for cheaper self drive options in South Africa, but you will potentially end up missing out. I have always found that going on drives with the experts gives you a much better chance of seeing animals, getting in great positions to watch them and also learning a lot more about them. The staff at Phinda are really committed to ensuring you get the most out of the time you spend with them and the guides especially are fantastic. If like myself, you have limited time available when you visit South Africa or even if you are living in SA and have a set amount of time, it is well worth speaking to the team from &Beyond about the lodges and packages that best suit your situation. We dealt with Susie from their booking team and she was fantastic from arranging the best accomodation options through to ensuring we had the right directions to get us to the lodge. The guides at Phinda Mountain Lodge make sure you have an incredible time. The obvious answer here are the stars of the show - the animals. But I would also encourage you to ask about going out early for a sunrise. At Phinda Mountain Lodge, there is a beautiful lookout not far from the accomodation that has a stunning view over the bush at sunrise. It is an incredible way to start your day! Coffee at sunrise with our great group. 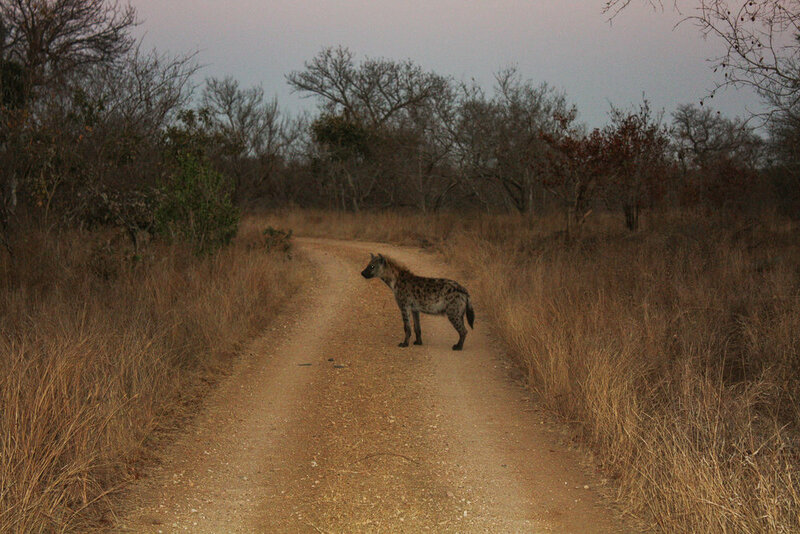 When visiting the African bush, people become safety conscious of the obvious lions and hyenas, however, it can be some of the smaller creatures that can be a concern. It wasn't until after returning home that we discovered a small tick had hitch-hiked on my son. As well as being uncomfortable, ticks can be carriers of disease. To avoid any issues, you can take measures to prevent ticks (repellants, sensible clothing) and also be vigilant in checking and removing any ticks that do climb aboard. It isn't recommended these days to burn off ticks. Rather, correct manual removal or actually freezing them off using the nitrogen wart sprays were the methods recommended to us. For those looking to stay in contact, I did find the wifi connection at the lodge was relatively poor. You may wish to look into 3G mobile phone coverage as the reception was adequate. Whilst nobody enjoys peoples phones ringing out on safari, if you like to be contactable for work or family reasons, then you will get local reception around the lodge. 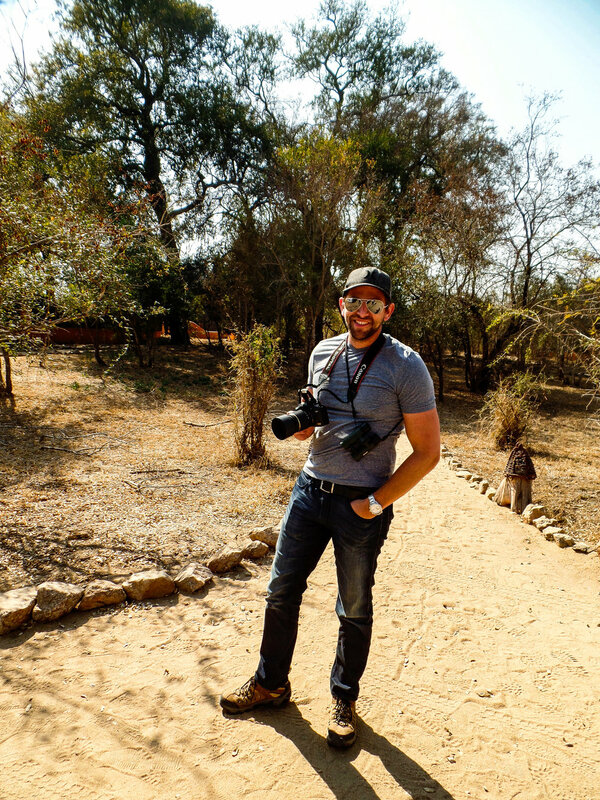 One of the many things that I was really impressed with at Phinda, was the significant work they do in conservation. The &Beyond group is fully committed to supporting both the local community within which their lodges operate as well as the animals that have made their reserves famous. In all of the &Beyond lodges, they make a concerted effort to employ members of the local community, as well as invest back into those communities through purchasing of produce and leasing of land. Africa has long had issues with illegal hunting and poaching of wildlife, to the point where certain species are on the brink of extinction. &Beyond puts significant efforts into breeding and conservation work, to promote the sustainability of species that are currently threatened. At Phinda, the rhino and cheetah conservation projects have been particularly successful. Whilst it is sad learning of the situation populations of these animals are in, it is encouraging to know groups like &Beyond are working on solutions. They place an emphasis on educating guests during their stay and then carry this through to breeding and anti-poaching programs on the ground. It is nice to know that some of your money spent staying at these lodges is being re-invested back into the conservation of the animals! I did not receive any financial discount or benefits from &Beyond or Phinda Mountain Lodge to write this review. The information provided is completely independent of &Beyond. A long-term dream had been going on a safari in the famous Kruger National Park. South Africa has a large number of National Parks and game reserves , however Kruger National is by far the most widely known. 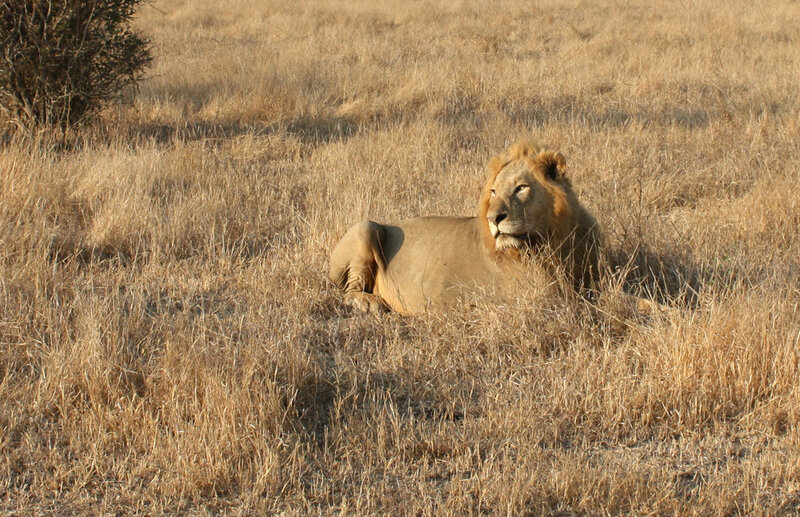 If you have ever wanted to go on safari in Africa, this is a bucketlist item! We flew to Johannesburg International Airport – from here you can either drive or catch small domestic flights. The fastest and perhaps easiest is the flight to Hoodspruit, however be warned, book these flights well in advance because there are limited seats on the smaller planes and the costs can get high! Most of the lodges have shuttles that will pick you up directly from the airport and drive you into the park and to your accommodation. Don’t pack the camera too deep in your bag though, from the time your plane starts its descent you’re a chance of spotting your first wildlife – even the airport has warthogs and cheetah! The drive from the airport to your lodge takes you through the gates and into the park and depending on where you’re staying and what time of day it is, you will almost certainly start seeing wildlife from the time you enter the gates. I remember we got really excited and wanted to stop and photograph every zebra and buck we drove past on the way to the lodge – don’t worry, this is just an introduction! There are as many ways to experience Kruger National Park as there are animals within its boundaries. From day trips to luxury tours, from footed treks to bird’s eye views from helicopters. KNP is one of the largest parks in South Africa and stretches 360km North to South. It has 9 main gates, 21 rest camps and 15 designated safari lodges. 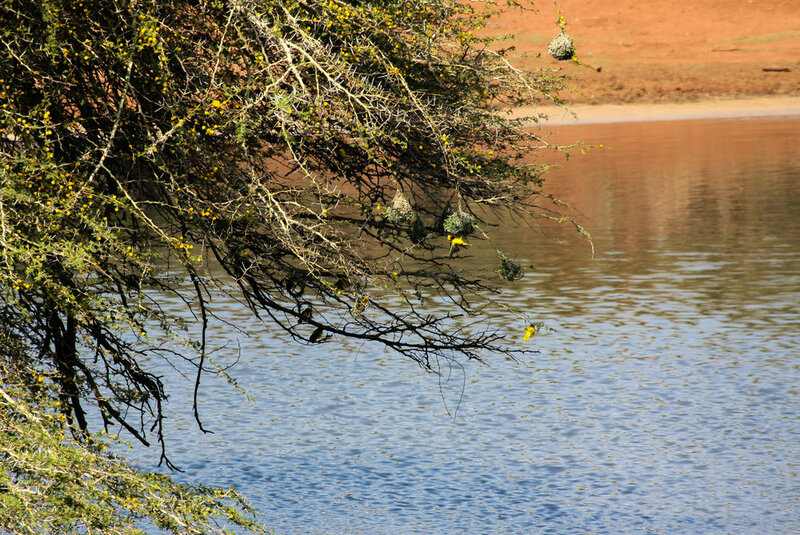 The Winter/dry season (June to September) is considered the preferred time to visit the park – the weather is milder and relatively dry, there’s a much lower risk of contracting malaria and the more sparse vegetation makes it easier to locate and see wildlife. Whilst you wont need spending money if youre staying at one of the lodges, if you want money for tips etc then you need to exchange or withdraw at Johannesburg. Most places in the park have very poor phone coverage. If you are reliant on being contacable then take this into account. Hoyo-Hoyo had wifi in the common areas that allowed catching up on emails, social media or messages if you needed. Hoyo-Hoyo Lodge genuinely exceeded our expectations. It was truly luxury in the bush. 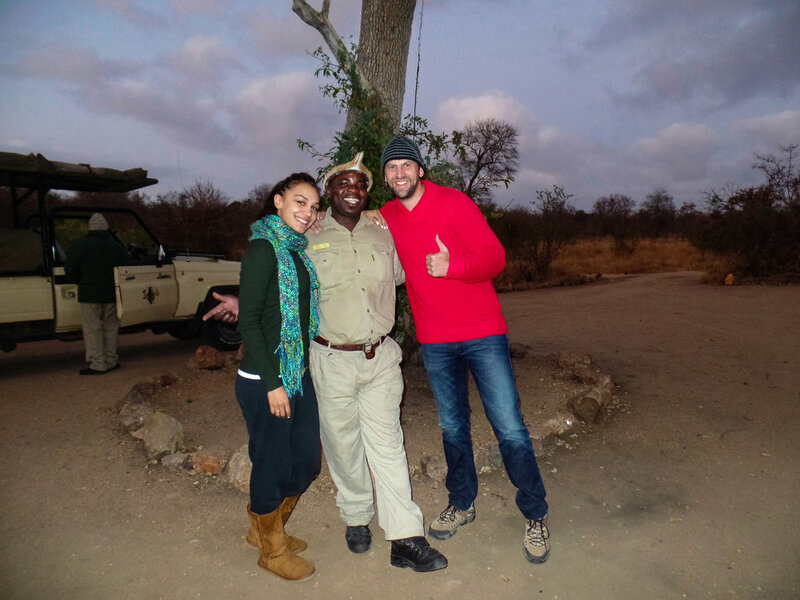 You will be welcomed by the extremely friendly staff who have usually grown up in the areas around Kruger NP. The accommodation itself is far from rough. Whilst small, the bungalows are more than adequate for the limited amount of time you end up sepnding in your room. One word of warning - the ground squirrels, whilst appearing cute, are highly effective thieves and will likely come into your rooms when you're asleep or not there and eat any food left out. They even went through our cases, chewing into anything that contained food! The showers were outside, which provided a real “getting back to nature” feel, however it was also brutally cold if you wanted a shower before the early morning safaris in Winter. 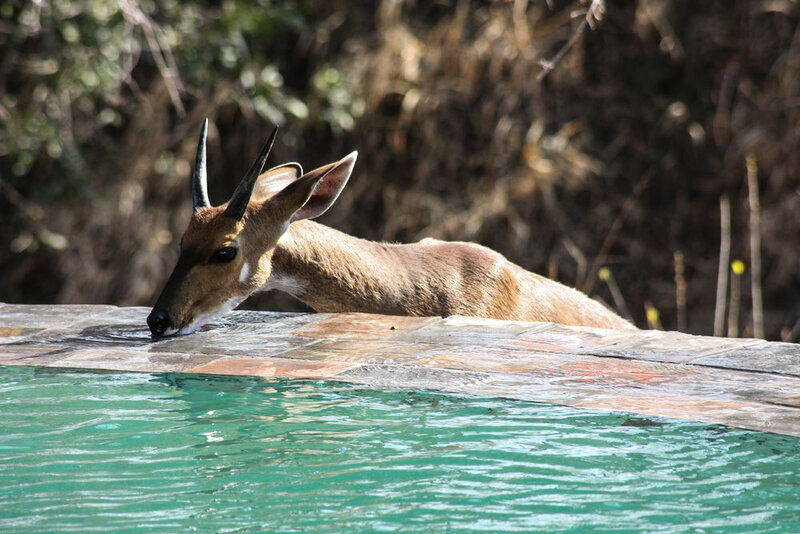 The communal areas at the lodge are beautifully set up and overlook a waterhole that attracts a huge variety of wildlife. We found ourselves sitting for hours watching the monkeys annoy the elephants, the small gemsbock sleeping beside the deck or reading away whilst all variety of animal came by for their daily drink. If you want to be certain of seeing every animal, go to a zoo. One of the greatest parts of a wildlife safari is that there are no guarantees, the animals, time of year, weather and a lot of luck determine what you will see. We found that some drives were incredible with a huge varierty of sightings, whilst others went for hours without seeing much at all. For that reason I would definitely recommend spending at least a couple of nights so you can go on a minimum of 4 drives. Drives are typically done morning and evening to take advantage of the most likely times animals are active. We probably expected it to be easier to spot things than it was – our guide, Sweety Boy, was beyond incredible. His experience and eyesight was remarkable. Sometimes it literally took minutes and getting hundreds of meters closer until people in our vehicle could see the things he spied. I understand some people like the intrigue of driving themselves around places like Kruger, however the money you spend on an experienced safari driver is worth every single Rand. His knowledge and stories as we drove made the whole experience so much more worthwhile. I would recommend trying to have the same guide for the time you are there if possible. You will genuinely get to know how they work and they will get to know what you have and haven’t seen and try to build the overall experience for you. We also did a guided walk through the Park. Whilst we felt safe at all times with the experienced (and armed) guide, it did have an additional element to the drives. Unfortunately we didn’t see a great deal as the area you can cover by foot compared to a car is very small. We did spend time following rhino and leopard tracks and it was definitely nice to get out and walk through such an incredible National Park. Pack only what you need for the drives depending on the weather. It can be bitterly cold early morning and evening during the winter, so take lots of layers of clothes. Most things are provided by the lodge, including morning teas – ours usually consisted of traditional rusk biscuits, biltong, tea, dried fruit and nuts. Cold drinks including wine, beer and soft drinks were also supplied at each small camp stop. The all inclusive food at Hoyo-Hoyo was superb. They have their own chef who prepares restarant quality food from a menu that changes each day. Mostly it is a showcase of traditional South African cuisine – so ox-tail, malva pudding, boerworse and pap are all likely to be on the menu! We both love our food and I consider myself a pretty harsh critic, but the food at Hoya Hoya was excellent! They even went as far as setting up a private candlelit dinner for us on one of the nights. If you have any dietary requirements you will need to make this known before you arrive, because it is too far from any towns for the kitchen to change the menu last minute. Goes without saying, the game drives are the highlight and the main reason to go to Kruger National Park. I think if you lived in South Africa and visiting the park was more regular, then the self-drive option would be great and more flexible – but when you are travelling and perhaps time is short and expectation high, the guided drives are the best. It has the advantage of taking care of everything for you including food, local knowledge and access to areas not permitted in public vehicles. There is a variety of lodges that offer these services with a range of budgets. Compared to most things in South Africa, game safaris in parks like Kruger are relatively expensive. However I would certainly suggest that spending a little extra to maximize your experience is well worth it. The “Big Five” of African Safari animals are the lion, leopard, elephant, rhinoceros and buffalo. Seeing each of them is what everyone wants to tick off. Different areas of the park are more well known for different species. We saw lions, rhinos, elephants and buffalo. The leopard is our reason to return! Get a reasonable book or animal guide for your drives. It is incredible just how many different animals beyond the obvious ones you will see. Bucketlist. Adventure. Wild. Nature. Animals. These days, taking photos of your travel is a must. But for wildlife and safari drives, it becomes even more significant, because there is another variable in play – the animals! Everyone has their preference in terms of photography equipment and some people spend thousands on cameras and lenses for safaris. For wildlife photography, it is nice to have a camera with a zoom lens (at least 200mm) as many animals will be some distance from you. To be honest, we also use a lot of iPhone photography no matter where we go, as it is very quick and easy and can be uploaded immediately to social media etc. It was interesting to notice on our drives that some other guests had a lot of fancy equipment but didn’t have experience using it and became frustrated they couldn’t get the shots they wanted. Plan and book early. Compared to most things in South Africa, game lodges can be extremely expensive, especially in peak seasons. This includes internal flights to places like Kruger NP. The additional costs of staying at one of the many lodges will be well worth the money! The guides are excellent and will significantly improve your chances of having a successful drive. Choose your photography equipment wisely. Go with familiar equipment, pack your chargers with universal plugs and as always back up your days work.